One of the most anticipated reads from InStyle, HelloGiggles, Hypable, Bookbub, and Bookriot! One of Real Simple's Best Historical Fiction novels of the year! 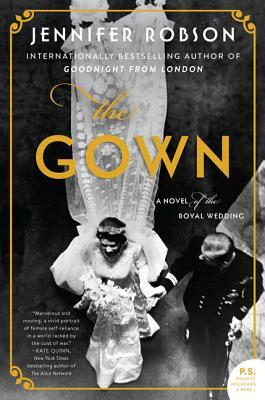 “For fans of “The Crown,” looking for history served up as intimate drama, and those seeking another angle on royal lives, “The Gown” seems likely to dazzle and delight. Jennifer Robson delivers a satisfying multigenerational epic linked by the intricate embroidery used on Princess Elizabeth’s wedding gown. Robson’s meticulous attention to historical details—notably the intricacies of the embroidery work—is a wonderful complement to the memorable stories of Ann and Milly, making for a winning, heartwarming tale.